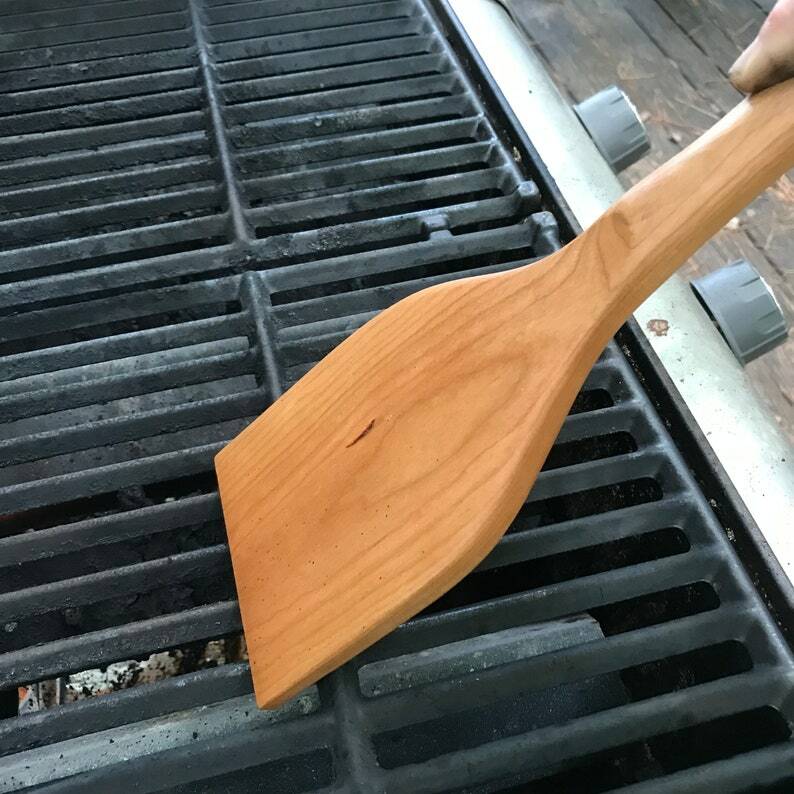 Cleaner comes without grill marks. The trick is to get the grill hot and push back and forth to make the mark match your grill grade. It’s 14” long and 4” wide. Comes with leather strap to hang it. Handmade Heavy Duty Mixing Spurtle / 12"